ALA is massive. The good news is that there’s a conversation about anything you’re interested in going on. The bad news is that means there are conversations about anything anyone might be interested in going on right now. Somewhere in a sprawl of convention centers and hotel meeting rooms in a major American city. The conference rotates between about a dozen major cities which have enough convention center space and hotel rooms to handle it, with frequent stops in Chicago, where ALA is headquartered. Do some advance work to figure out what you might be interested in. Preconferences are always on the Friday, and most programs happen on Saturday and Sunday, with occasional spillover into Monday. This means there will usually be twelve things you’re interested in at any given time. That’s OK–note the ones that are close by and be ruthless about session-hopping. The program planning people at ALA and the divisions make some attempt to coordinate, and to group programs into meaningful tracks based on the theme of the conference. Usually it’s easier to pick the ALA division(s) which make the most sense for you and follow their program stream. American Libraries tries to pick out some programs of interest. Their choices tend to sound like ALA marketing to me, not because they’re bad but because they’re trying to address all the possible audiences of attendees. Which means 75% of it is probably not interesting to whoever you are. If you’re at all introverted, ALA can be totally overwhelming. Give yourself space in your schedule to decompress. There’s also a limit to how much information you can absorb at once. I usually find that I hit the wall Sunday night and need to take a couple of hours off. a computer of some kind. I’m going to try ALA this time with an iPhone and some small Moleskine notebooks. I’ve done ALA several times with an eight-pound laptop on my back and it is *not* fun. Eh, I’m taking a programming workshop so I guess I’ll need to bring my Chromebook. Which I will cheerfully leave in my room all days but Friday. Your Mileage My Vary, but I take more useful notes on paper and I am *much* happier the less I carry. a backup battery for your phone, esp. if you’re using a smartphone. You’ll be wandering in and out of signal all day and/or tweeting or otherwise using it all the time. Eat real food. And understand that anyplace within a block or two of the convention center is going to be mobbed most of the time. Get out of the conference zone and find some interesting food in the broader neighborhood. Watch for invites to vendor breakfasts and parties. Lots will advertise them by email to conference attendees, but they’ll also often have tickets at their booths. Two main approaches to this. 1. Talk to everyone. Almost any sort of person you might want to meet is here, and the vendors in particular all know each other. You never know who you’ll end up next to in line or at lunch–your next job, someone who’s selling the product you came to look for. Both have happened to me. 2. Talk to a few people in depth. This is often more feasible for introverts, but it’s also more likely that you’ll build lasting relationships this way. Find out if the people in that mailing list you always read and post to will be there. Identify someone who has a project you’re interested in and offer to buy them a drink. ALA is ridiculously over-organized. It’s an umbrella organization for a loosely related set of divisions which all have different internal organizations and committee structures. They cover, collectively, anything librarians and/or libraries do or are interested in. The list of acronyms alone is really daunting. Open Secret #1: Most ALA business gets done on relatively small committees who do most of their business at ALA Annual and Midwinter. The meetings are open, unless they’re explicitly marked “closed” or “private” in the program. Tell your boss and your colleagues what you saw, what you thought was interesting, and whether there’s anything going on that’s worth pursuing. I usually write up a few pages of notes on the sessions I attended and any particularly useful conversations I had. I usually take pages and pages of notes, but I try to boil the report down to a couple of pages of highlights. This is how you secure your conference funding for the future: make it clear to your library what value they’re getting by sending you. It is a professional conference, but it can be fun, too. Make a point of doing something interesting and non-conference-related in the host city. Maybe a nice lunch. Maybe a trip to a museum or a local sight. I usually visit the local public library, for example, but you can pick your own thing. I didn’t do this in Orlando in 2004, for example, and so all I can remember is how hot it was and how annoying the layout of hotels was. 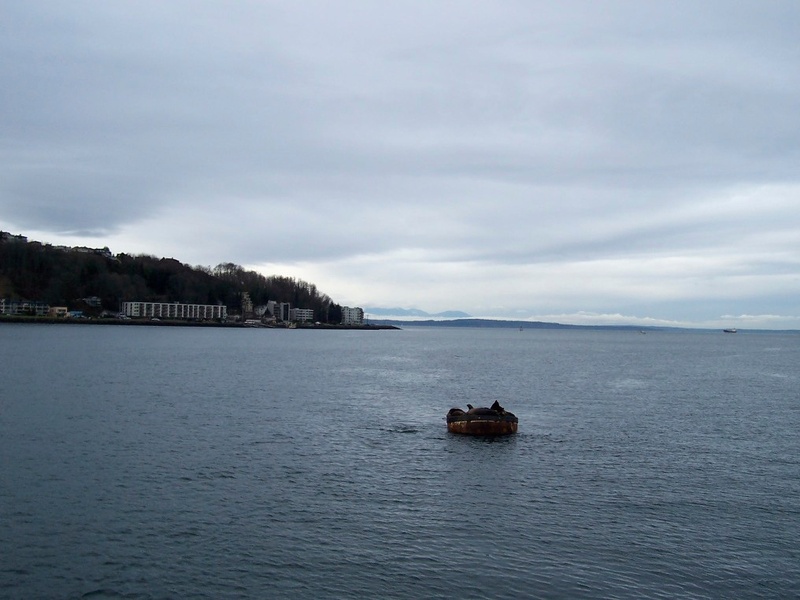 At a Midwinter in Seattle I took a harbor tour that I still remember quite well.